So maybe that’s a misleading headline. You can’t really spam-proof your email. Much of spam is in the eyes of the beholder, meaning whether or not your email is spam is as much a matter of your recipient’s opinion as anything else. They could very well flag an email as spam that’s as legitimate as can be. That said, you have many factors under your control that can minimize those spam complaints, to spam-proof your email marketing program as much as possible. In addition to staying away from words that trigger spam filters, and sloppy coding that makes ISPs nervous, here are six ways to decrease the chances that anyone will click that spam button. First, be careful whom you email. Make sure you only email your own list, and make sure that list is opt-in and permission-based. Slowly and carefully grow that list, with a focus on quality over quantity. That way you are sending email to people who really do want to hear from you. Although the size of your list will be smaller, so will the number of spam complaints. Second, manage expectations. When you’re selling your email signups, be honest and upfront about what kind of content you’ll send and how often you’ll send it. Emailers who suddenly start bombarding subscribers with daily emails—when the expectation was weekly at most—are going to get plenty of spam complaints, because they crossed the line from wanted to unwanted. Third, keep your word. Whatever content and frequency you promise at the point of signup, stick with it. 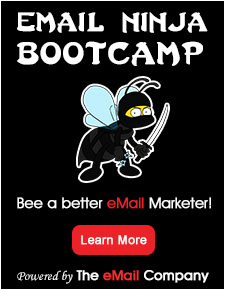 If you promised a weekly email newsletter, deliver that, not a daily barrage of promotions. If it’s a daily barrage of promotions you offer, say that upfront and deliver it. Fourth, be careful with your ‘From’ address, subject lines and Preview Pane. When deciding whether or not to open an email, people look first at the ‘From’ name, then the subject line and then the Preview Pane. Use a ‘From’ name they’ll recognize, a subject line that intrigues and a Preview Pane that makes them want to know more. If you can pass all three of those tests with a “yes”, then chances are you’ve passed the spam test too. Fifth, be consistent in frequency. Set up and stick to a schedule that keeps your emails showing up consistently—but not too often—in your subscribers’ inboxes. If more than a month goes by and they haven’t heard from you, they might forget they ever subscribed to your email in the first place. And then they’ll view your email message as unwanted and spam. Sixth, make unsubscribing easy. People will flag emails as spam as a way to unsubscribe. Avoid that. If they no longer want to hear from you, let them opt out with ease rather than reach for the spam button instead. It’s better to let them go than risk the alternative. Takeaway: You can’t control your subscribers, meaning you won’t be able to protect your email marketing program from all spam complaints. 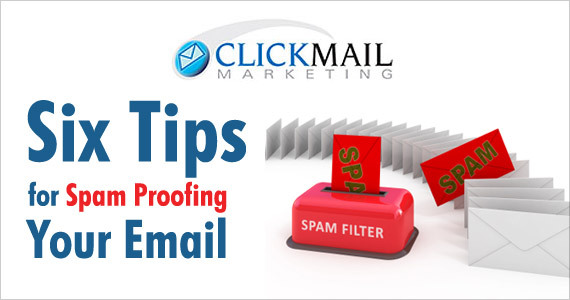 However, with these six pieces in place, you will be able to spam-proof your email to the best of your abilities, keeping complaints to a minimum.